India bags the honor of being the first country outside Britain to adopt the game of Golf. 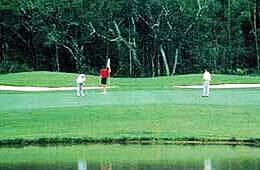 Playing golf in India is an interesting experience due to the diversity of its golf courses. The ambience of each golf course, spread wide through the mountains, plains, deserts and also at the beach resorts; is quite unique; characterized by its culture and history. These distinguishing golf courses have made India an ideal destination for Golf and hence originated the concept of Golf Tour in India as one of the theme travel in India. Pro-Shops and Post Tournament Function Rooms. You can experience this reality by joining the Golf Tours in India. In India, the Golf tours as a theme travel in India cover many places like Delhi, Mumbai, Jaipur, Bangalore, Chandigarh, Coimbatore, Ooty, Chennai, Kolkata, Pune, Hyderabad, Gulmarg and Srinagar. The Golf Courses in Delhi and Jaipur are must visits and widely applauded by the golf lovers from all over the world. 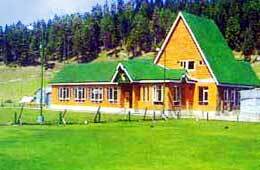 Some of the oldest golf clubs in the world outside England and also the highest golf course located at Gulmarg in Kashmir make India irresistible for the golf lovers. The Golf tours in India are convenient for the tourists as most of the golf courses are well connected with the mainstream through road, rail and air network. The Indian Golf Union is also affiliated to the World Amateur Golf Council. Planning a Golf tour in India is one of the best ways to experience the sporting spirit in India closely. A large number of international standard courses are also designed by Arnold Palmer and Jack Nicklaus; offered at the golf courses providing the golfers with adequate challenge.